Want to know how to convert guest checkout customers to registered customers in WooCommerce? Getting customers to register an account will help you to stay in touch with them and turn them into loyal lifetime customers, giving you a big revenue boost. In this article, we’ll show you 5 ways to encourage customers to register with you. Why Is It Important for Customers to Register? First time customers aren’t always keen on the idea of registering an account when they buy for the first time. They may be concerned with being bombarded with spam emails, having to remember yet another password, losing personal information to third-parties, privacy violations, and even having to fill out a long form. Whatever the case is, it’s worth the effort to help convince guest customers to register. Want more customers to register at checkout? Let’s take a look at some effective tactics to convince them. There’s a good reason eCommerce personalization is a hot topic. Smart personalization is an easy and effective way to make your customers happy and boost revenue. To convince shoppers to register, you can let them know that when they visit you in the future they will see products that cater to their needs and wants. Plus, they can enjoy easy re-ordering of previously purchased products, variations of popular items, online order tracking, and even related product recommendations when they return. Need some inspiration? Check out these smart eCommerce personalization examples to get started. Some eCommerce shops have exclusive products and services available only to those that register. You can offer exclusive deals, discounts, and coupons in exchange for an email address. You may even want to give registered customers special “Deal Days”, meaning only those that have registered can access your product inventory. People love to window shop online. And, while WooCommerce does support wishlist creation and sharing for unregistered customers, the problem is those wishlists are only stored for a maximum of 30 days. If you want to enable wishlist functionality on your WooCommerce shop, you should encourage guests to register at checkout so they can keep their wishlist forever. You can use a plugin like WooCommerce Wishlist Plugin to make your wishlist features even more attractive. You can reward customers for their loyalty by implementing a rewards program when they register. This not only provides customers with added benefits in the form of coupons, deals, discounts, and even reward points, it helps your sales conversions. 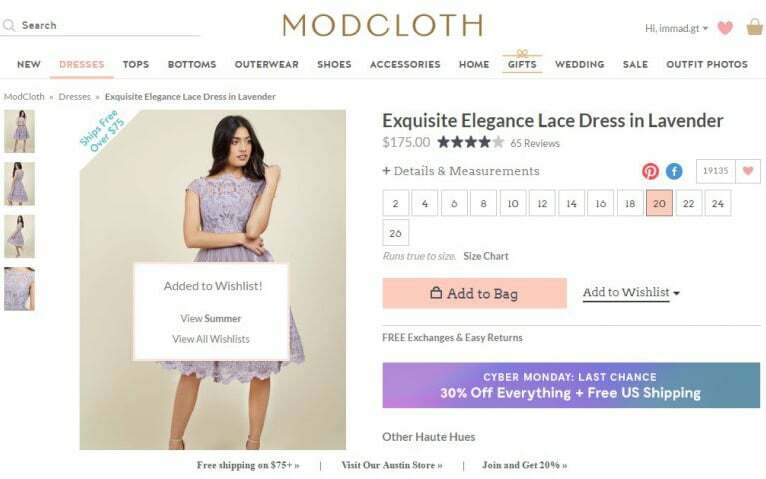 For some online stores, offering too many discounts can cut into profits. And that’s it! You now know how to convert guest checkout customers to registered customers in your WooCommerce shop. Now, you may want to see our article on eCommerce email marketing best practices so you’ll know how to convince your newly-registered customers to make another purchase.